At least she didn’t go commando! 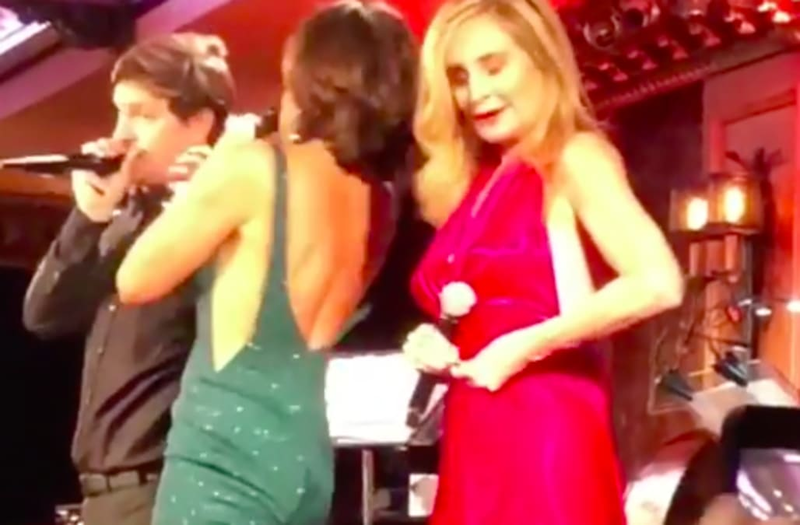 Real Housewives of New York City star Sonja Morgan’s dress fell off when she was on stage at Luann De Lesseps’ cabaret show. While the reality personality, 54, was performing De Lesseps’ hit “Money Can’t Buy You Class” with the her costar during “#CountessAndFriends” at Feinstein’s/54 Below in New York on Thursday, March 8, Morgan’s red dress came off and exposed her bare breasts and her black underwear. Fans will have to wait and see if Morgan’s wardrobe malfunction airs on the upcoming season of RHONY, but according to costar Ramona Singer’s Instagram Story, the cast was filming the season 10 finale on Thursday night. As previously reported, Morgan also joined 52-year-old De Lesseps on stage at her first cabaret show on February 27. Real Housewives of New York City returns to Bravo on Wednesday, April 4, at 9 p.m. ET.